The recipe is fairly simple. 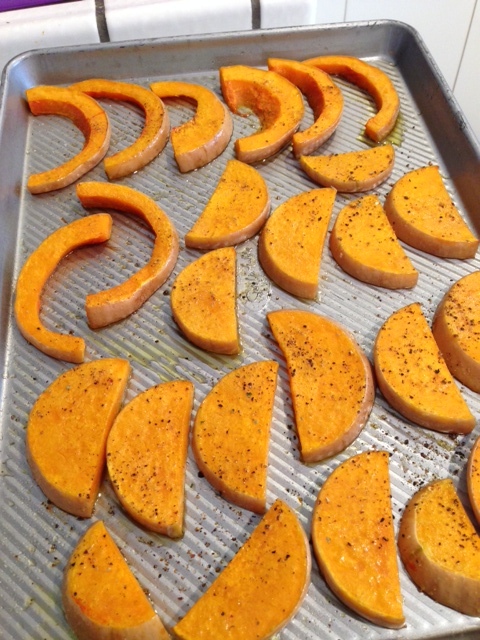 I pre-roasted my squash for extra flavor but you don’t have too. It was a shortcut so I didn’t have to fire up the stove. Slice both ends off the squash, cut down the long way and de-seed. Cut crosswise into 1/2″ strips and place on baking sheet. Put in oven for 20 minutes. After 20 minutes – crank oven heat to 450 and cook another 10 minutes. Remove from oven and let cool for a few minutes. 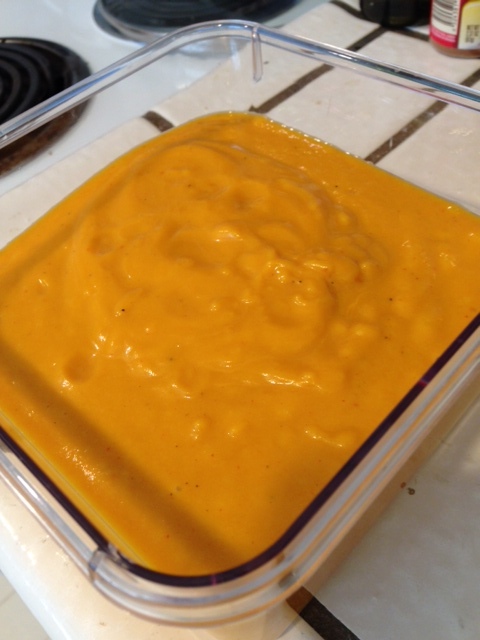 When cool enough to handle, strip or cut skin and place squash in blender or food processor. Meanwhile, dice an onion and sauté in remaining oil in a skillet until soft. 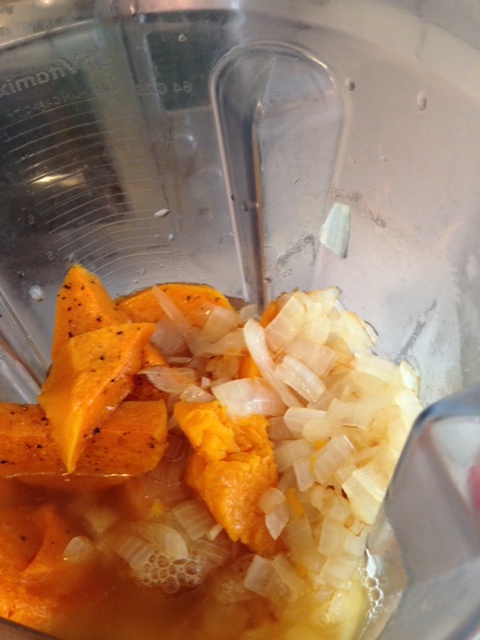 Add the onion to squash in the blender and pour in vegetable stock. You want the stock to ALMOST cover the vegetables but the soup needs to be thick at this point. Process until smooth and then add the thai red curry paste. Process again and taste for heat. Add more paste if desired. Finally – add the coconut milk and process one more time. Adjust seasonings as needed and refrigerate. Alternate seasonings could include adding nutmeg, cinnamon or thai basil. Here is the squash for roasting. Into the blender everything goes. . The finished product waiting for dinner time.